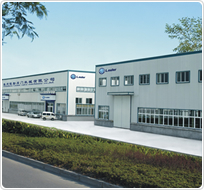 Wenzhou L.euler Valve Machinery co.,ltd.A modern enterprise integrating research and production,is specralized in the manufacturing machines sanitary stainless steel fluid machines,pumps,valves and fittings. The company,on the base of joint efforts of the researching personnel,inoiers internationally advanced dingital control machine tool and other processing and inspecting machine,is specialized in the manufacturing of sanitary stainless steel fluid nachines,valves,and pipe connections of L.euler brand.All the products can be made according to various degrees of finish,material and industrial standare(such as ISO、DIN、IDF、SMS、3A).Theproducts are widely used in industries as food,pharmacy,dairy beer,beverage and fine chemicals,with techniques reaching internationally advanced level,according to GMP medical standard.Our products are exported to America,Europe,and Middle East,and radiates to China. Union, friendship and innovation now is the management conception of L.euler Company.We will mever forget the supports and suggestions our customers gave and will give us.L.euler people will combine material of high quality, advanced design,strict manufacture standard and quality guarantee system to provide the customers with the best products. L.euler prople whole-heartedly welcome your join and visit with sincerity!